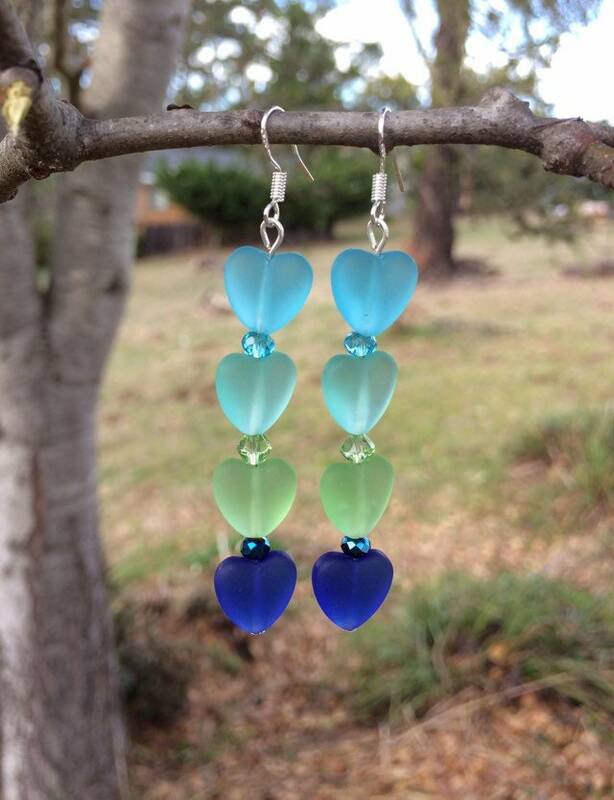 These darling heart earrings are made with recycled glass that resembles the sea glass. These are paired with Swarovski for a tough of sparkle. Earrings are 1 3/8” long and hooks are .925 sterling silver.